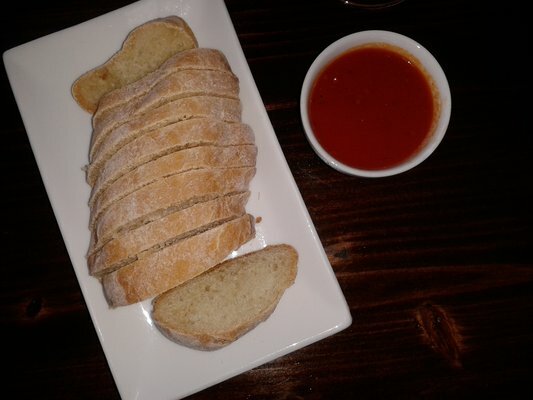 Lets Eat With Alicia in Redondo Beach, CA provides reviews of some of the restaurants serving heavenly Italian food. 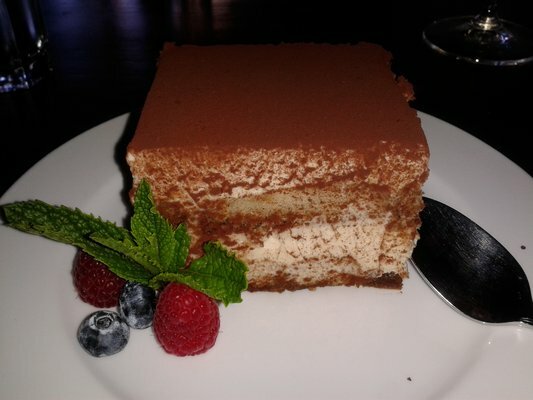 Let’s Eat With Alicia in Redondo Beach, CA provides you with the reviews of some of the restaurants that serve heavenly Italian food. Alicia loves visiting Italian restaurants and swears by the awesome flavors of their dishes. After you have tasted them, we are sure that you’ll also do the same! Killer garlic rolls and Calamari!!!!! #1 The food here is exquisite. Beautiful restaurant and the best food. I recommend everything. Portofino Ristorante is definitely a restaurant treasure. This restaurant is a place you will hold on to for a very long time. You will experience the beautiful artwork that's displayed inside the restaurant , the delicious wine served table side, the wonderful entrees that comes out the kitchen and the most respectful customer service that you are presented with each time you walk in the door. Portofino Ristorante has been a family favorite for years. Try it you may feel the same. Portofino is a great place to visit. My experience here at Osteria Mamma exceeded my expectations. Let me start by saying that the food was exceptional, well thought out and very well executed. I was handed a menu,looked it over and was torn between so many dishes that sound very delicious. I finally made a decision which was the Riginette Della Mamma (translation): Cream Sauce,Guanciale,Sausage and Treviso Ridicchio. 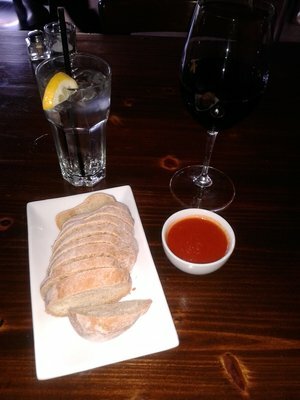 As I wait for my order I was served warm , delicious House Bread and a Mild Italian sauce to dip it in. My order arrived and placed in front of me with the most wonderful aroma . 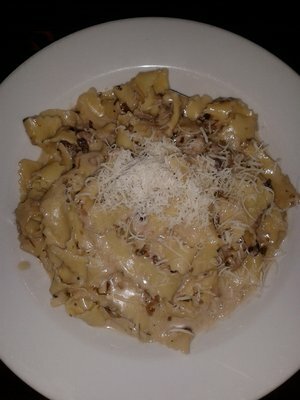 I took my first bite and was blown away by the Authentic taste of real Italian Cuisine right here at Osteria Mamma. Every bite was better than the next , I couldn't get enough of my heavenly Pasta. When I was done with my Pasta dish I was then handed the dessert Menu. 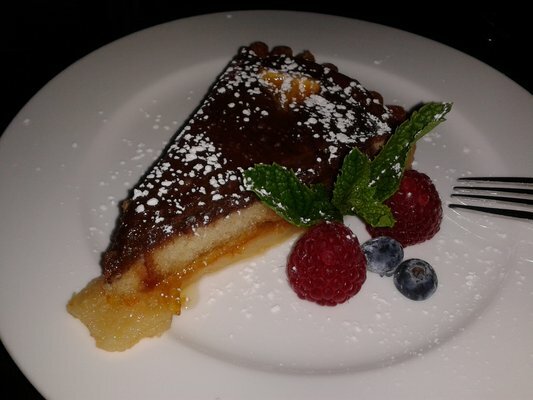 When I eat Italian I usually top it off with a nice Tiramisu but I saw something else that caught my interest and that was the Chocolate and Orange Tart (one of the best desserts I've ever eaten). I still ordered my Tiramisu (that's just me). My overall experience was a very pleasant one. The service was spectacular ,very warm and respectful. I can't wait to visit again to try another tasty dish. If you want Authentic definitely visit Osteria Mamma this is the way to go. They offer valet at the rear of the restaurant and there is street parking meters. Try it! It's worth it.